How did you get started? I read about it in an online snowboarding article when I was thirteen years old and immediately became obsessed. Later that year Santa brought me one for Christmas! Best dude ever. 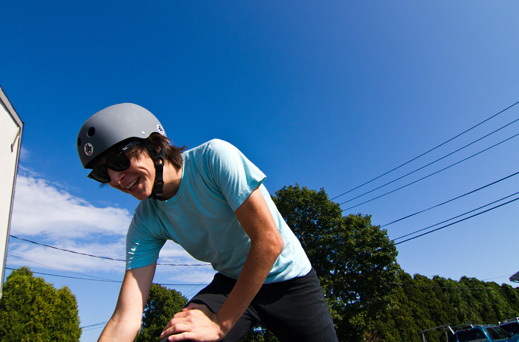 Best Freebord memory: I have countless awesome memories riding and filming around RI with all my homies. The 2010 East Coast Ride was also super sick. Board settings: I ride a 77cm deck with upgrade edge and center wheels. Trucks loose, bindings ducked, and maximum rocker.